I empower ambition when I counsel a company to think twice about launching into heated litigation and instead choose to direct the company’s resources and energy into a revenue-producing endeavor. Knowing when and when not to litigate takes sound judgment and acute business sense. I have empowered many companies, both large and start-ups, by helping them avoid litigation while at other times advocating a full-press offensive when litigation becomes the most effective means of recovering from a wrongdoer. One of the world’s largest international trucking logistics companies. A trade organization enforcing the copyrights of some of the world’s best-known software companies. Philadelphia taxicab companies in disputes against the PPA, PUC, and among competing taxicab companies; and in defending from bank's taxicab medallion collection efforts. The Philadelphia area’s most well-recognized tech, life sciences, energy, and internet startups. Crafting litigation strategies that will have the hardest-hitting impact while not breaking the bank. Maintaining a high success rate in dispositive motion filings. Negotiation — I negotiate settlements every day, so not only am I skilled in it, but I also enjoy getting the most for my clients. 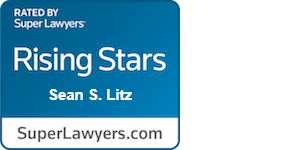 I was selected as a Rising Star by Pennsylvania Super Lawyers Magazine. I secured the largest settlement in the history of a software trade organization’s copyright enforcement efforts. I enjoy eating spicy foods, the spicier the better.